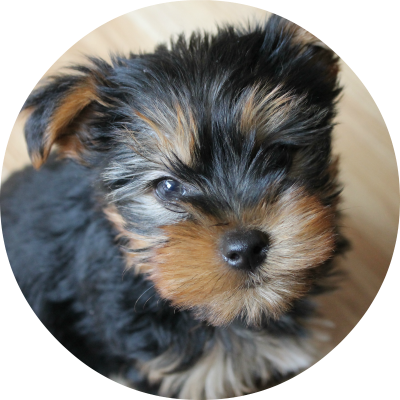 Archie's Great Adventures: Welcome to Our Family, Maggie | A New Puppy! Welcome to Our Family, Maggie | A New Puppy! Last week my parents asked me to find them a puppy, as they'd sadly lost their black lab Tilly in June. My dad simply can't live without a pack of dogs, so he wanted me to help him find a new addition to their menagerie. Ideally he wanted another labrador, however I love spaniels, so I sneakily sent photos of litters to my mum of spaniels too! It just so happens that she fell in love with the cheeky little monkey above, and my parents went to view her and bring her home the very next day. Little Miss Maggie, or Maggie Moo as she's affectionately known, is a 10 week old black and white English Springer Spaniel. Like most spanners, she's absolutely full of beans and so comical. We all absolutely adore her, and she's already being spoiled rotten with cuddles, toys and love. She's being raw fed, and is doing really well on Natural Instinct food! The dogs in our family aren't quite so enamoured, though! My parents also have a 13 year old springer and a 9 year old cocker, and they're still a little unsure. With time though, I know they'll all be the best of friends. Archie is becoming good pals with the little one already, but Winnie still needs some convincing! She likes to eat grass, chew stones, pee on the doormat, chase Winnie round the garden and she sits splayed out like a little frog. We just love her so much already! I always love to hear about your tales archie! Maggie looks absolutely adorable and the mischeif in those eyes is unreal! Cant wait to read more about maggie moo!